So far 2012 has been one of our busiest years ever! Great news for our perimeter security systems which are now being installed in an increasing number of countries. One of the downsides, however, is that we don't get to see as much of our Technical Director, Andy Moon, as he has been travelling extensively this year visiting clients and checking installations.k with 1/4 pint of heavy (double) cream. 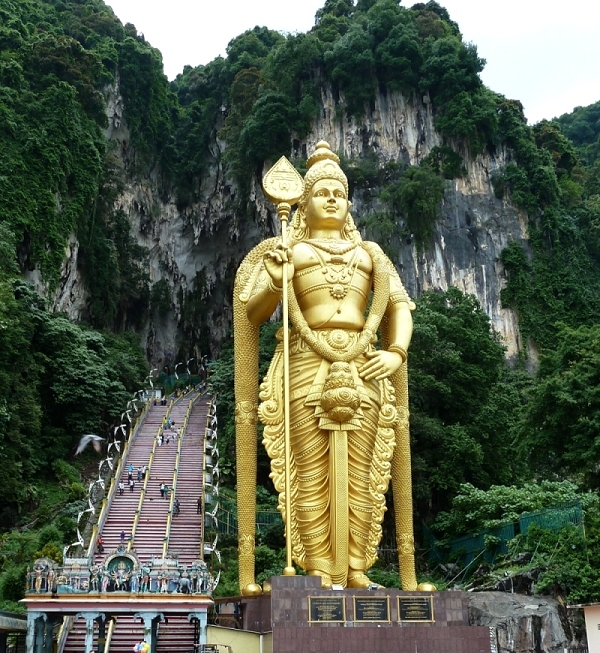 One of the countries he has visited so far in 2012 is beautiful Malaysia and he brought back for us a super selection of photographs to share with our perimeter security blog readers. There's everything from historic statues to cute monkeys, Malaysian flowers to world record breakers! Over the coming weeks we will post some of the most interesting photos from that trip. Here is the first. This photograph is of the Lord Murugan Statue, the second tallest statue of Hindu deity in the world and the tallest in Malaysia itself. As a company which takes interest in the detail of things, we were fascinated to read the statistics behind this amazing statue. Its construction required 250T of steel bars, 300 litres of gold paint and 1,550m3 of concrete!